Like any family member, pets need regular medical checkups. Pet insurance can help defray some of the costs. Pet insurance is designed to cover some - but usually not all - of the costs of emergency and routine medical care for your pet. It can help offset most or all of the costs of diagnosing, treating, and managing your pet's illness or injury, and even routine check ups. If your pet is basically healthy and you're putting some money aside in an emergency "kitty", you may not need pet health insurance at all. Here's how to decide if pet insurance is right for you. Insurance plans for pets aren't like our health insurance plans. With pets, you pay the vet bills up front, and then submit a claim to the insurance company. You're then reimbursed for some or all of the costs of care (depending on your coverage plan). Like all other types of insurance, unfortunately, you can expect a delay in reimbursement. And like most human health insurance, insurance for pets require deductibles, co-pays, or both. How much you can expect to pay for insurance depends on the age of your pet, its breed, your postal code or zip code, and the type of policy. The most popular coverage is the mid-range, accident and illness coverage. 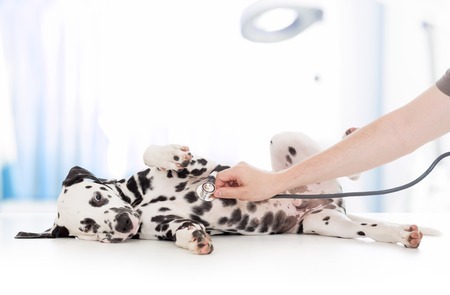 If you do decide to go with pet health insurance, look for coverage with simple, percentage-based payouts and no judgment calls by the insurance company as to what's "reasonable". Download the company's sample policy, terms and conditions. Look for limitations, cost-sharing, and service fees. The insurance provider should spell out the details of coverage for routine and wellness care as well as emergency treatments and conditions that require extensive care. Look for what is excluded. Most companies won't cover pre-existing conditions, or certain pets or breed of pets they consider "high risk". Carriers often exclude hip dysplasia and other breed-specific conditions, although they will cover accidents. Find out how much your insurance premium will increase as your pet ages and as a result of claims filed. If you plan to use the insurance for catastrophic coverage - say $1,000 or more - choose the highest deductible amount for your chosen policy. Skip add-ons and riders for wellness care, which aren't worth the price. If you have multiple pets, be sure to ask for a discount on your pet health insurance premium. For a list of the 10 best pet health insurance companies and additional information of pet health insurance, visit ConsumersAdvocate.org or the American Veterinary Medical Association. Clean Home › The Family Pet › Should I get Pet Insurance?